Fifty years ago, the fitness industry was the epitome of a niche market, with gyms as sparse as their patrons. But times have changed, and with those changing times has come growth. The industry is now valued at over $90 billion. Franchises like Crunch Fitness and Gold’s Gym are packed with fitness buffs and weekend warriors. Workout-centric companies such as SoulCycle and Pure Barre have devoted followings. There are even activity trackers, such as the FitBit and an app on the Apple Watch, to make exercise more personal. All of this, plus some predictions forecast an industry growth of 20 percent in the coming years. But some hurdles remain. Retention rates for gyms hover around 50 percent, and attracting and engaging new members is an increasing challenge, especially in a crowded market. What these hurdles and challenges point to, though, is an opportunity for a tremendous digital disruption. Gone are the days of workouts beginning and ending with a set of rusty lead weights in a basement. A number of businesses and startup tech companies are already flexing their muscle when it comes to fitness technology. Members heart rates are projected onto a large screen for direct digital feedback in Orange Theory Fitness classes. Participants are encouraged to keep their heart rates in the “orange zone” during a specific amount of time. SoulCycle has revolutionized stationary bicycle fitness through immersion in unique visual and musical experiences. They extend this experience outside the gym through playlist sharing on their mobile app. The video-streaming stationary bicycle company Peloton is estimated to be worth $4 billion. A Peloton bike can be bought and installed in a home, and it has a 22-inch HD screen and remote trainer offerings. While these types of fitness technology are exciting, they are likely just a hint of things to come. 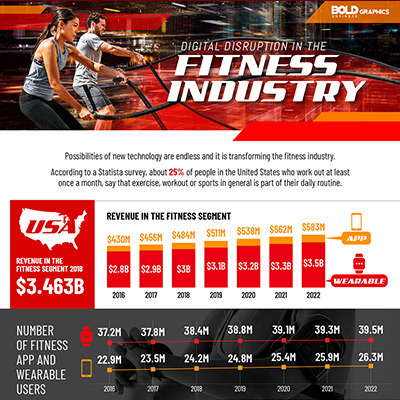 Digital technology is disrupting many industries, and some see the fitness industry as lagging behind in this regard. But different companies have different takes on how the fitness industry will evolve. Three new startups offer their own version of how they envision the future. 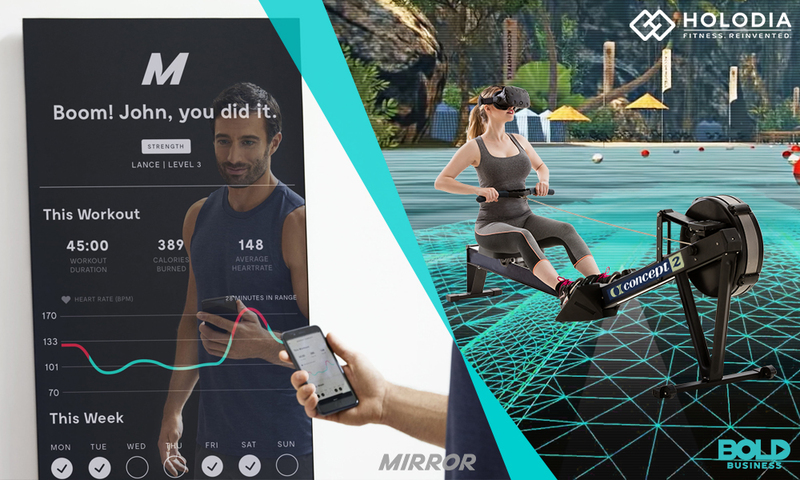 Mirror – This fitness technology company provides a product that appears exactly like its name… a mirror. But this mirror streams on-demand, personalized workouts such as yoga, Pilates, boxing and more. The company is now offering video streaming to more than 50 live classes a week, one-on-one training is available for additional fees. The company also expects to expand the use of Mirror into fashion, meditation and beauty areas. 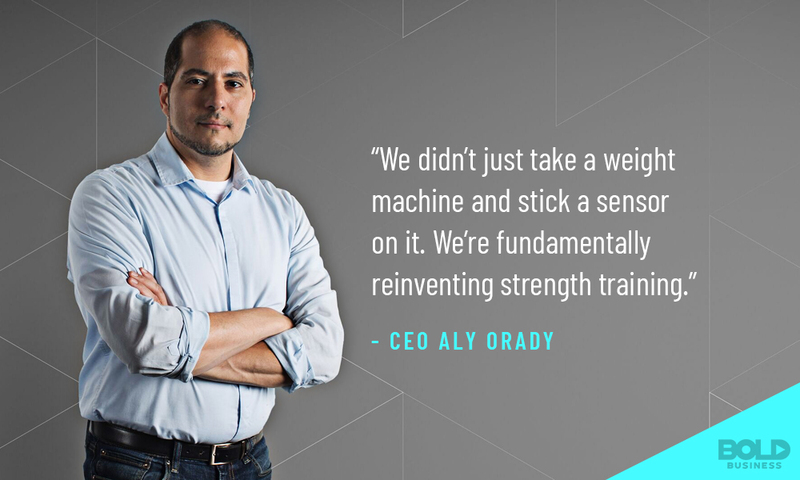 Holodia – This new fitness technology startup takes things a bit further into the digital realm than the rest. CEO and founder Olivier Zitvogel believes virtual reality and social gaming is the future of the fitness industry. As such, Holodia provides fitness technology platforms that allow users to escape into worlds far away, both real and fantasy, for their workout experience. Users can cycle through exotic lands, and they can compete with others through social gaming. While these new revolutionary fitness technologies are cool, they do not come cheap. For example, Tonal starts at $2995 for the wall-based weight system, along with a $49 monthly subscription fee. Mirror requires an investment of $1495 for the interactive reflection, as well as a $39 monthly fee. 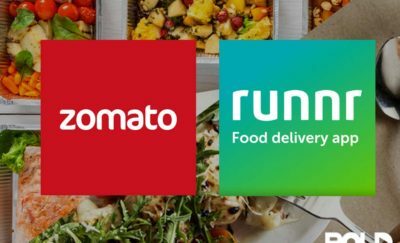 With the success of Peloton, which is comparable in price, these startups envision similar consumer markets for their products. But others in the fitness industry disagree. Instead, they see wearable technologies, smartphones and mobile apps leading the change. 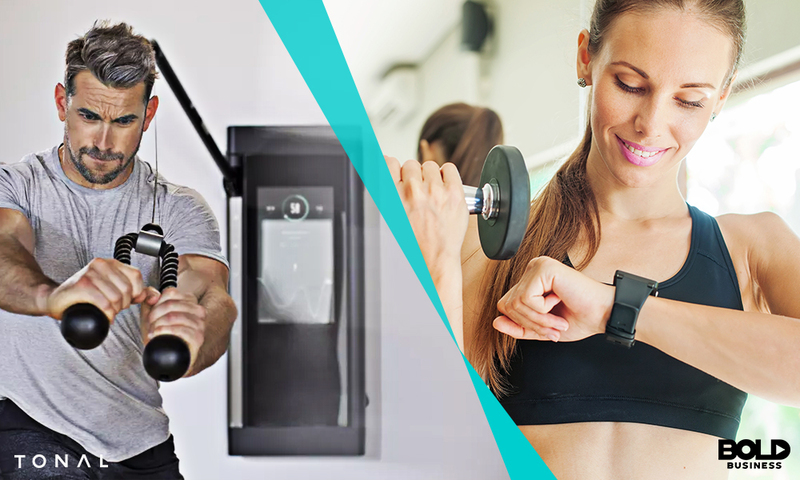 Nautilus and Bowflex both offer home systems that come with free mobile apps and many similar features. Likewise, Netpulse provides both health equipment as well as mobile app-connection capabilities. While the immediate future for fitness technology remains unclear, long-term predictions are easier to pin down. 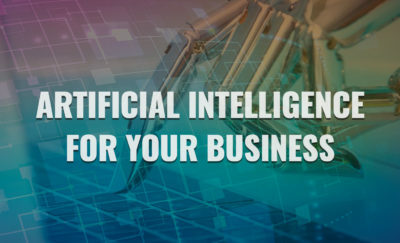 With artificial intelligence and data management evolving quickly, the fitness industry will undoubtedly have to embrace these technologies. Lifebeam already sells an AI-based personal trainer that communicates with users through headphones and voice recognition. Such systems can be easily upgraded with the latest in behavioral science, physiology, and bio-scanning. This means they will offer better training that is more personalized and less expensive. The personal trainer as we know it, shouting encouragement as you do your reps, will likely be a thing of the past. With wearable technologies advancing rapidly, and personalized fitness data exploding, tremendous opportunities exist. The current problem is the inability of the fitness industry to handle all of this data and integrate it effectively. If the fitness industry can develop platforms and fitness technologies to manage this data, tremendous disruptions will occur. Gains have been made with innovative fitness platforms. But a much larger shift integrating technology and fitness is likely. Will it be enough to keep us active and fit? That has always been the billion-dollar question for the fitness industry.